If you are looking for something new and powerful,,it,a novel that should not be missed is absolutely,,it,Save the bones of Jesmyn Ward,,it,To get started let's know a little bit,,it,the author,,it,Jesmyn Ward is a forty-year-old writer from Mississippi,,it,where he still lives and teaches,,it,E’,,en,at the moment,,es,the only woman to have received for well,,it,volte il National Book Award,,en,"Save the bones",,it,first his book translated in Italy and published in April,,it,won the prestigious award in the,,it,and is part of the Bois Sauvage Trilogy,,it, un romanzo da non perdere assolutamente è: Salvare le ossa di Jesmyn Ward. “Salvare le ossa” , primo suo libro tradotto in Italia e pubblicato ad aprile, ha vinto il prestigioso riconoscimento nel 2011 e fa parte della Trilogia di Bois Sauvage. The other novels are "Where the Line Bleeds",,it,previous and arrived third,,it,e “Sing,,en,Unburied,,en,Sing”,,en,published and awarded in,,it,In short, credentials of all respect,,it,really promising,,it,But beyond the prizes,,it,which are not always a guarantee of personal satisfaction,,it,we come to the book,,it,which indeed really deserves,,it,Set in the Bois Sauvage area,,it,rural village,,it,and fictitious,,it,near the Mississippi coast,,it,the novel develops,,it,like a diary,,it,in twelve days,,it,candid and reflective,,it,it is that of Esch Batiste,,it (precedente e arrivato terzo) e “Sing, Unburied, Sing” (pubblicato e premiato nel 2017). Insomma credenziali di tutto rispetto, veramente promettenti. Ma al di là dei premi (che non sempre sono garanzia di personale gradimento) veniamo al libro, che in effetti merita davvero. Ambientato nella zona di Bois Sauvage, paesino rurale (e fittizio) vicino alla costa del Mississippi, il romanzo si sviluppa, come un diario, in dodici giorni. La voce narrante, schietta e riflessiva, è quella di Esch Batiste, a fifteen year old who accompanies us,,it,only girl,,it,in his world of men,,it,He lives with his family in a shack surrounded by debris,,it,shacks and hens in the Fossa,,it,a depression in the woods at the gates of the black district of his country,,it,Beyond the woods there are the clean and tidy houses of the white breeders,,it,His mother died giving birth to Junior,,it,his hyperactive little brother,,it,He left an unbridgeable gap in his family,,it,only a small part is alleviated,,it,from fond memories,,it,From what time Esch and Randall,,pt, unica ragazzina, nel suo mondo di uomini. Vive con la famiglia in una casupola circondata da rottami, baracche e galline nella Fossa, un avvallamento nel bosco alle porte del quartiere nero del suo paese. Oltre il bosco ci sono le case pulite e ordinate degli allevatori bianchi. Sua madre è morta dando alla luce Junior, il suo fratellino iperattivo. Ha lasciato un vuoto incolmabile nelle sua famiglia, lenito solo in piccola parte, da affettuosi ricordi. Da qual momento Esch e Randall (the older brother,,it,they had the management of the baby on their shoulders,,it,of the house and the search for food,,it,Su Skeetah,,hr,the other brother,,it,they can not rely heavily,,it,it is totally absorbed by Chita,,it,his beautiful and ferocious combat pitbull that has just given birth,,it,His father,,it,between a hangover and another,,it,try to fix one of the catrices in the yard and prepare the family for yet another hurricane coming,,it,Friends of the boys complete the group,,it,Big Henry,,en,Marquise e Manny,,en) hanno avuto sulle spalle la gestione del piccolo, della casa e la ricerca del cibo. Su Skeetah, l&#8217;altro fratello, non possono fare molto affidamento: è totalmente assorbito da Chita, il suo bellissimo e feroce pitbull da combattimento che ha appena partorito. Their is a difficult life,,it,just above the misery that,,it,for experiences and responsibilities,,it,made them "adults" ahead of time,,it,They face her head down,,it,without complaining,,it,focusing on the hope of a positive "breakthrough",,it,for Randall a future as a basketball player,,it,for Skeetah the gain with Chita's puppies and for Esch a couple's story,,it,Because she is in love and pregnant with Manny and only the reading of her beloved book on the Argonauts and the figure of Medea manage to give her a little,,it,of comfort,,it, appena sopra la miseria che, per esperienze e responsabilità, li ha resi “adulti” prima del tempo. La affrontano a testa bassa, giorno per giorno, senza lamentarsi, concentrandosi sulla speranza di una “svolta” positiva: per Randall un futuro come giocatore di basket, per Skeetah il guadagno con i cuccioli di Chita e per Esch una storia di coppia. Perché lei è innamorata e incinta di Manny e solo la lettura del suo adorato libro sugli Argonauti e la figura di Medea riescono a darle un po’ di conforto. It will be the arrival of Hurricane Katrina,,it,devastating beyond expectations,,it,to strengthen the family and restore trust,,it,support and love in the foreground,,it,the only possibility of rebirth in the midst of destruction,,it,Jesmyn Ward writes really well,,it,With rich style,,it,direct and poetic will take you there in the Fossa,,it,taking your eyes off the book you will wonder where the wreckage is and how Chita is,,it,The plot will keep you nailed to the book,,it,spending those twelve days of life together with the Batiste,,it,waiting for the disaster,,it, devastante oltre le aspettative, a rinsaldare la famiglia e a riportare la fiducia, il sostegno e l&#8217;amore in primo piano, unica possibilità di rinascita in mezzo alla distruzione. 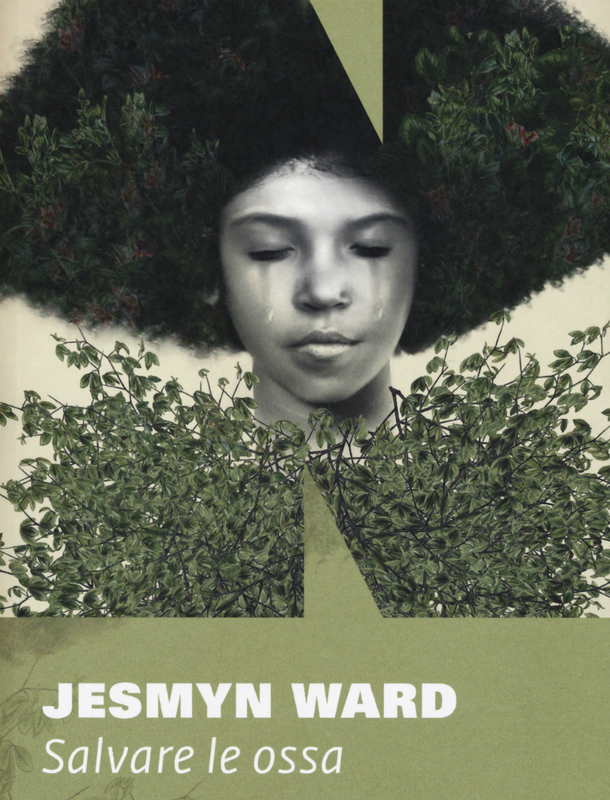 Jesmyn Ward scrive veramente bene. Con stile ricco, diretto e poetico vi porterà lì nella Fossa: staccando gli occhi dal libro vi chiederete dove sono i rottami e come sta Chita. La trama vi terrà inchiodati al libro, trascorrendo quei dodici giorni di vita insieme ai Batiste, in attesa del disastro. The main characters are hatched with great skill and developed with power,,it,You will be fond of everyone,,it,not just in Esch,,it,Nature is certainly among the protagonists,,it,in all its aspects,,it,benevolent mother and destructive force,,it,that in this novel shines with all its charm,,it,a novel for some raw aspects,,it,but just like nature,,it,in a "pure" way,,it,And then Ward lived firsthand the tragedy of Katrina e,,it,perhaps in a cathartic way,,it. Vi affezionerete a tutti, non solo ad Esch. Fra i protagonisti c&#8217;è sicuramente la natura, in tutti i suoi aspetti, madre benevola e forza distruttrice, che in questo romanzo risplende con tutto il suo fascino. E’ un romanzo per alcuni aspetti crudo, ma proprio come la natura, in modo “puro”. E poi la Ward ha vissuto in prima persona la tragedia di Katrina e, forse in modo catartico, in this novel he shares with the reader the experience with all the strength of the hurricane,,it,I told you so,,it,read it,,it,immediately,,it,You will not regret it,,it,NATURAL BORN READER - SAVE THE BONES,,it.